No word yet on when the complete film will be out, or how it will be available. I’ll post when I know more. 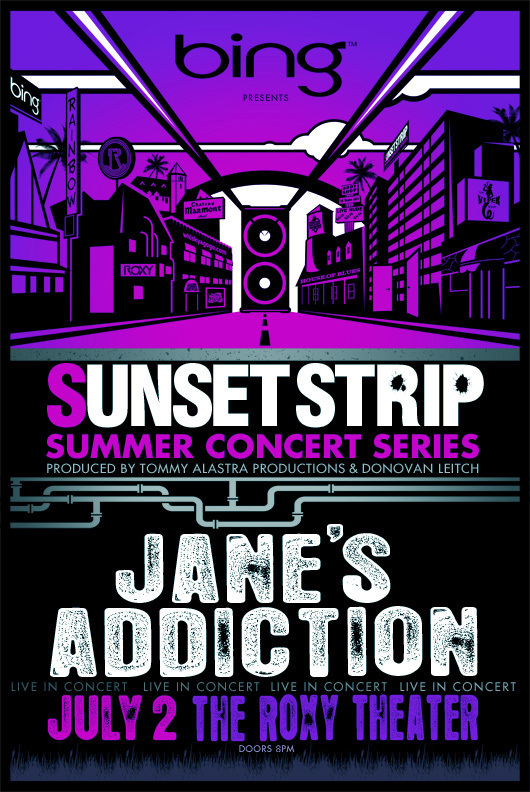 Jane’s Addiction will be playing two shows in England this summer. This will be the band’s first performance in the United Kingdom since 2011. Dave Navarro posted about these two shows via his Facebook and Twitter accounts. From all of us here at janesaddiction.org! Oakland also canceled, but Universal City is a go. Jane’s show at KROQs Acoustic Christmas tomorrow is on! I know its a little late, but the show is on tonigt! Due to swelling in Perry Farrell’s vocal chords, Jane’s Addiction were forced to cancel their performances at last night’s Reading Festival and tonight’s Leeds Festival. The band were scheduled to headline the NME / BBC Radio 1 stage. No decision has been made on Tuesday’s show at KOKO. Here is hoping for a speedy recovery for Perry. This morning in London his doctor determined that Perry Farrell’s vocal condition remains unchanged from last night. Again Jane’s Addiction wishes to convey their sincere apologies to the fans who had been looking forward to their scheduled performances at Reading and Leeds. The following clip was posted at janesaddiction.com earlier today. The clip directed by Todd Newman, features live footage from the band’s recent trip to South America. In between the live footage are shots of the band working in the studio on the tentatively titled disc The Great Escape Artist. One thing that really caught my attention as I watched the clip was the history of the mixing desk the band appears to be using. I don’t want to give it away but you can watch the clip and see for yourself. Here’s a peek at Jane’s Addiction in the studio hard at work on the recently released track End To The Lies. Dave and Perry will also be tweeting away tickets, so be sure to follow them! The remainder of the seats will be given to people who line up at The Roxy.